Less an album than a continuous soundtrack to a spaced-out journey of the mind, Wildhoney is filled with synthesizer-driven interludes that may sound cool as background music to a multi-coloured psychedelic journey for the easily impressed. As a heavy metal album, it's not very good. Of the six meaningful tracks, The Ar registers some soul and power. The other five songs vary from the mundane to the mediocre passing through the muddled, and by and large they are forgettable. 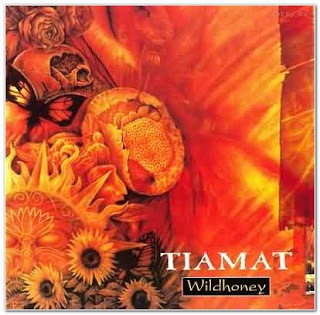 Wildhoney was the fourth and by far most famous studio album from Sweden's Tiamat, primarily a vehicle for vocalist / guitarist Johan Edlund with a revolving door of other musicians. The band theoretically focused on gothic metal, but in terms of sound and mood, Wildhoney is less about the gothic and more about the garishly galactic.